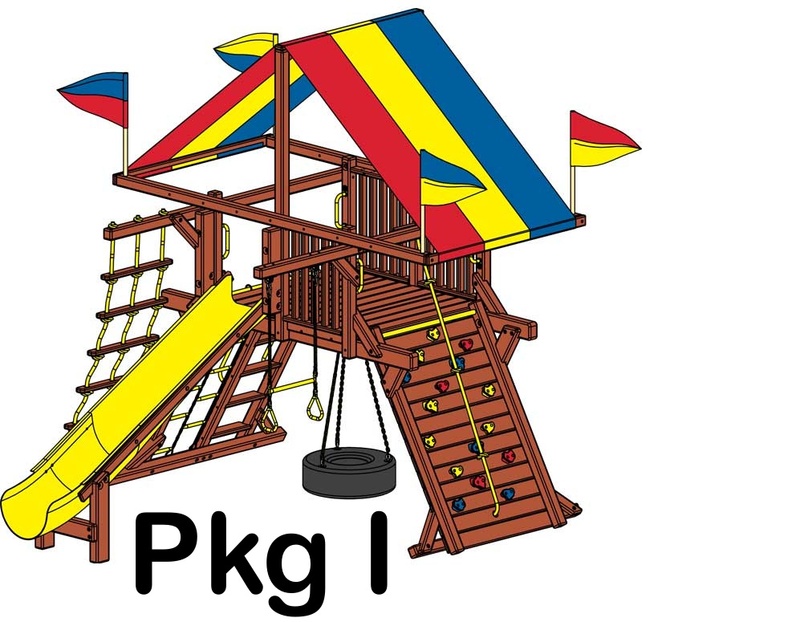 Today, Rainbow Play Systems has 600,000 structures installed worldwide. Rainbow is 1,800,000 children strong and growing stronger since they are already actively playing on their very own Rainbow®. Your child can be the next to blast off, rocketing to the moon. Tomorrow, your child will be the ringmaster in the center ring of the circus. Last week, they were pirates sailing the seven seas, searching for hidden treasures. 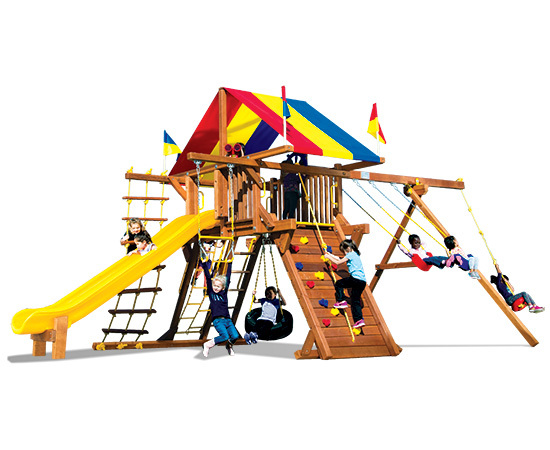 With their imagination and a Rainbow® play system, there are no limits to where they can go. 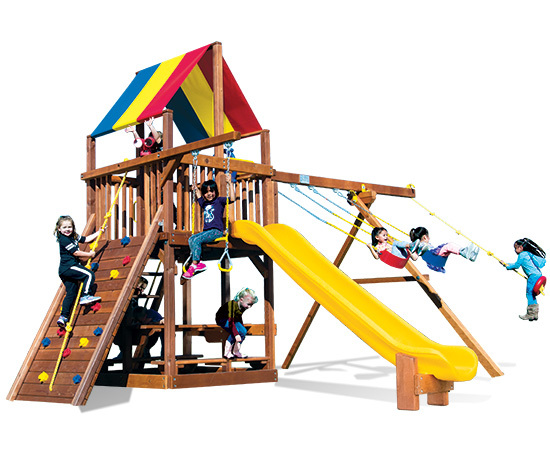 Rainbow Play Systems offers over 100 Cedar Castles & Clubhouses or over 50 Redwood Castles and over 150 wooden play set options and accessories from which you can choose. 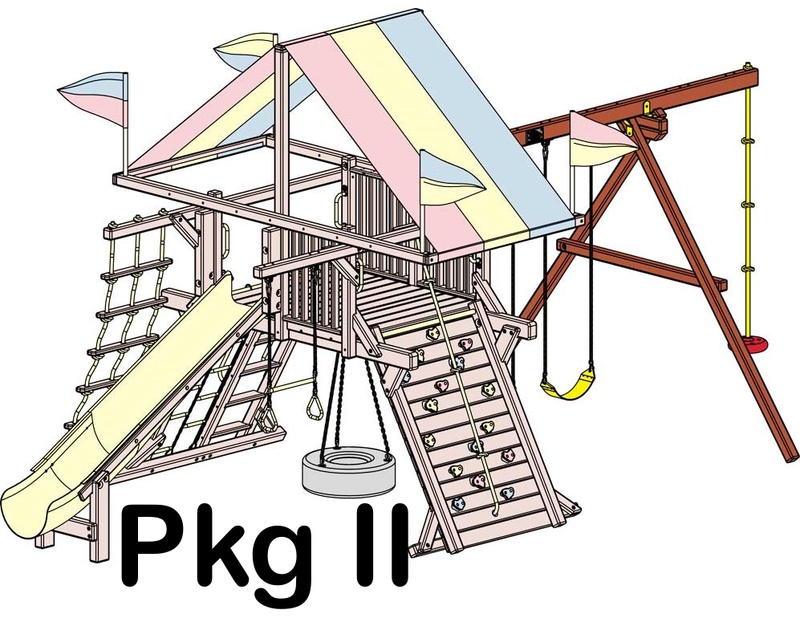 This allows you the freedom to design the ideal outdoor wooden swing set for your family. 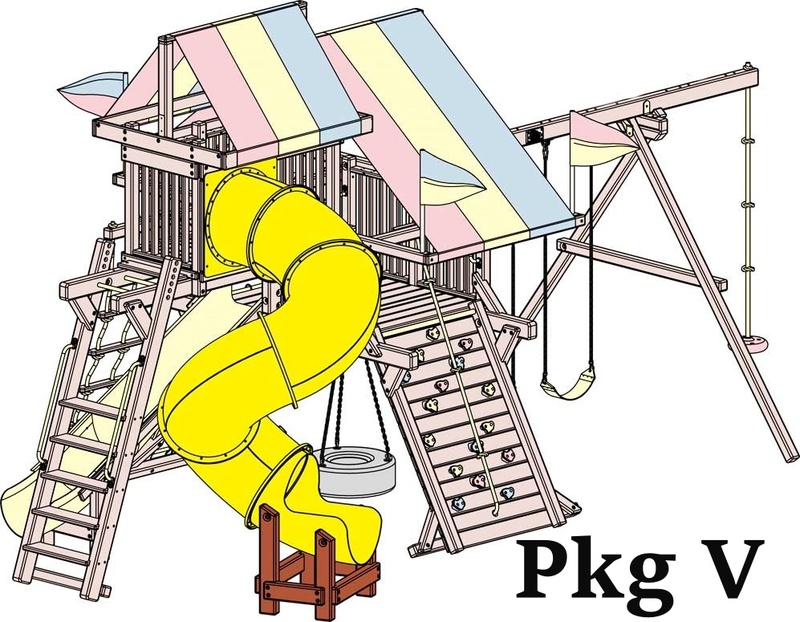 For healthy, safe fun, we assure you every Rainbow swing set is built with quality craftsmanship and your child’s safety in mind, and offers the best Lifetime Warranty coverage in America. 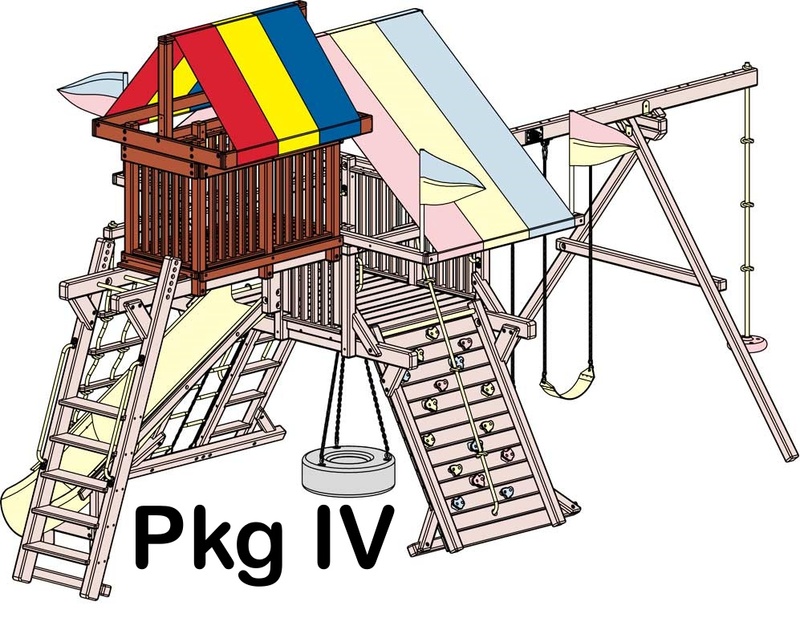 These packages make it easy to expand your swing set to keep up with children’s increased activity levels and new play interests. 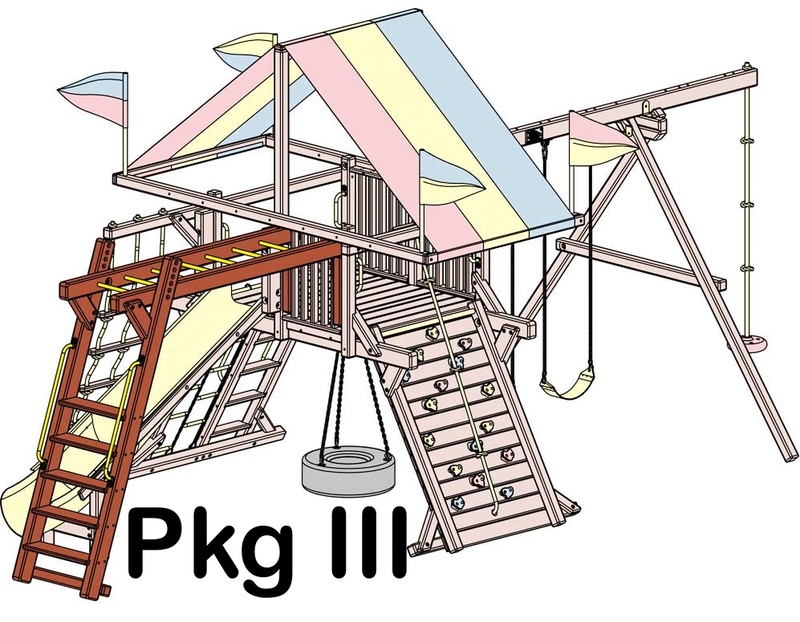 As your children grow, so can your swing set!